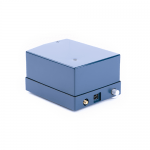 The SHR-IR spectrometer is an ideal instrument for measuring absolute wavelength value of pulse and CW lasers and diodes in the spectral range from 600nm to 1800nm with accuracy better than ± 15pm, as well as detecting FWHM of the analyzed line. 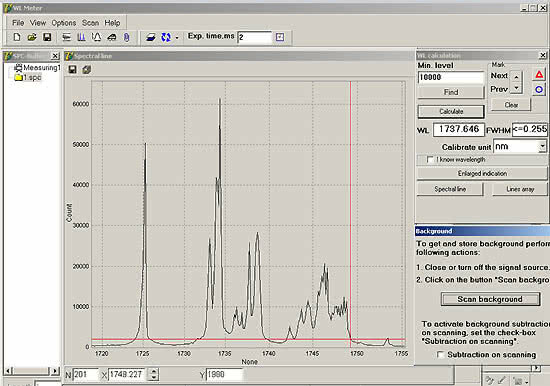 Spectral range from 600nm to 1800nm. Accuracy better than ± 15pm. Compact design; no moving components. 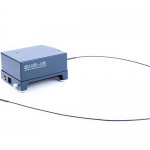 Optical fiber input; diffuse attenuator. 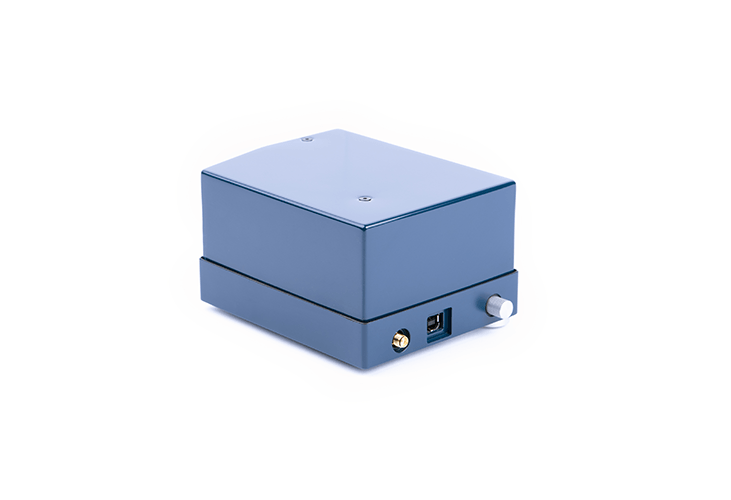 Ideal for measuring wavelength of pulsed and CW lasers. 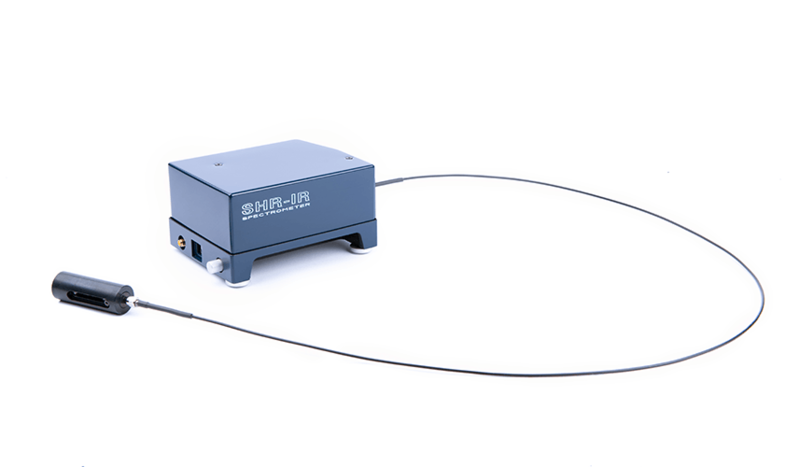 Apart from wavelength measuring the SHR-IR provides demonstration of analysed spectra with resolution of 4 000 (λ/Δλ, FWHM) which constitutes from 0.15nm for 600nm to 0.5nm for 1800nm. 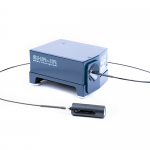 The SHR-IR also ensures on-line monitoring of the above values in the process of tuning the analysed wavelength. 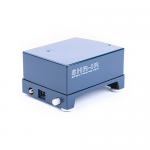 The instrument does not contain any moving elements; powering and control are performed from a computer via the Full-Speed USB interface. 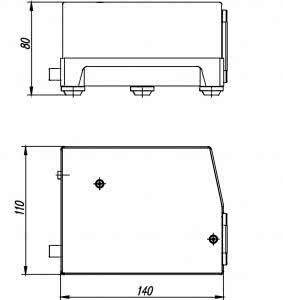 Analysed light is steered to the entrance slit either via a multimode optical fiber with a diffuse attenuator (included in the delivery set) or directly, without any fibers. 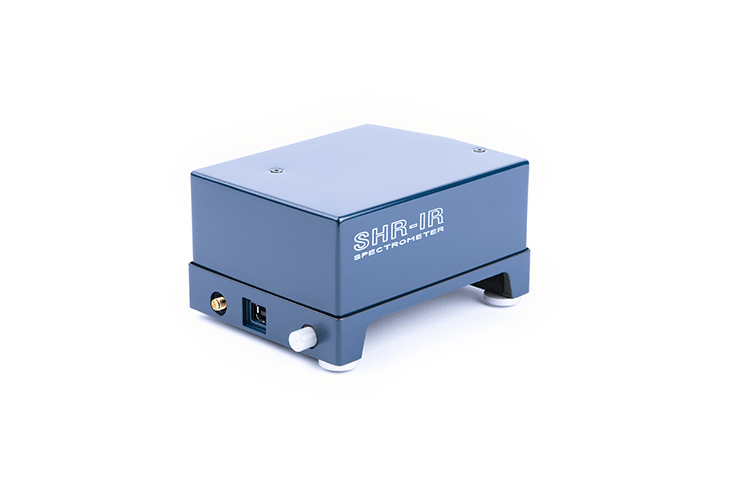 In respect of resolution and wavelength measuring precision the SHR-NIR is an alternative to a monochromator-spectrograph with focal length not less than 500mm, equipped with an appropriate IR-detector. 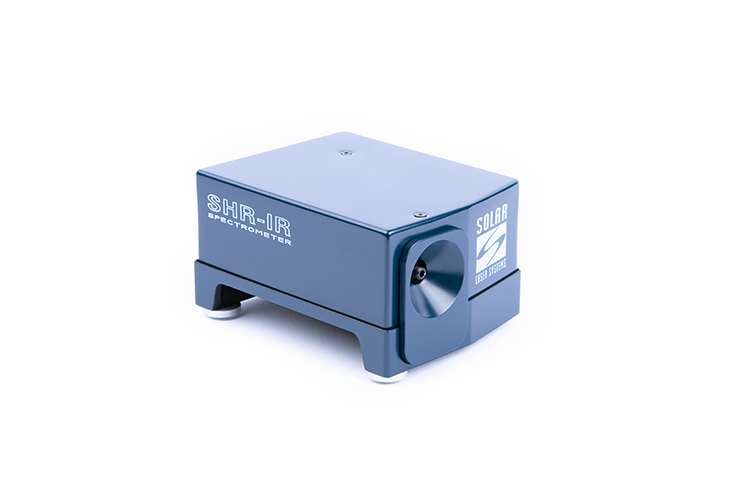 But unlike the monochromator, the SHR-NIR has no moving elements and provides real-time measurements without scanning. 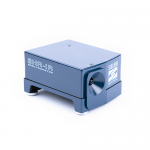 The SHR-IR is rigid, stable and accurate, ensures absolute reliability and has more reasonable price. 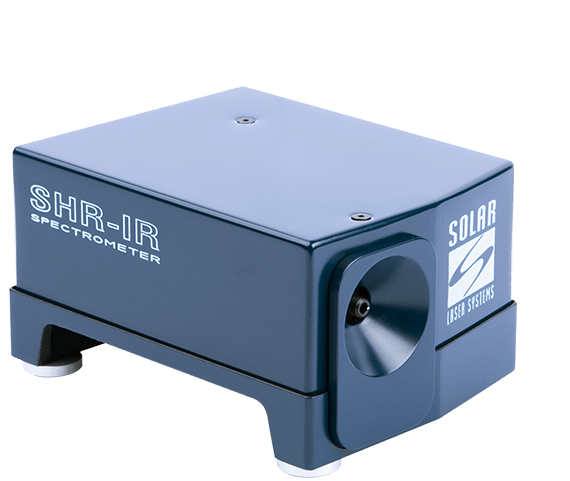 The SHR-NIR spectrometer is indispensable in the process of adjustment, alignment and testing of laser systems operating in the near IR spectrum range. 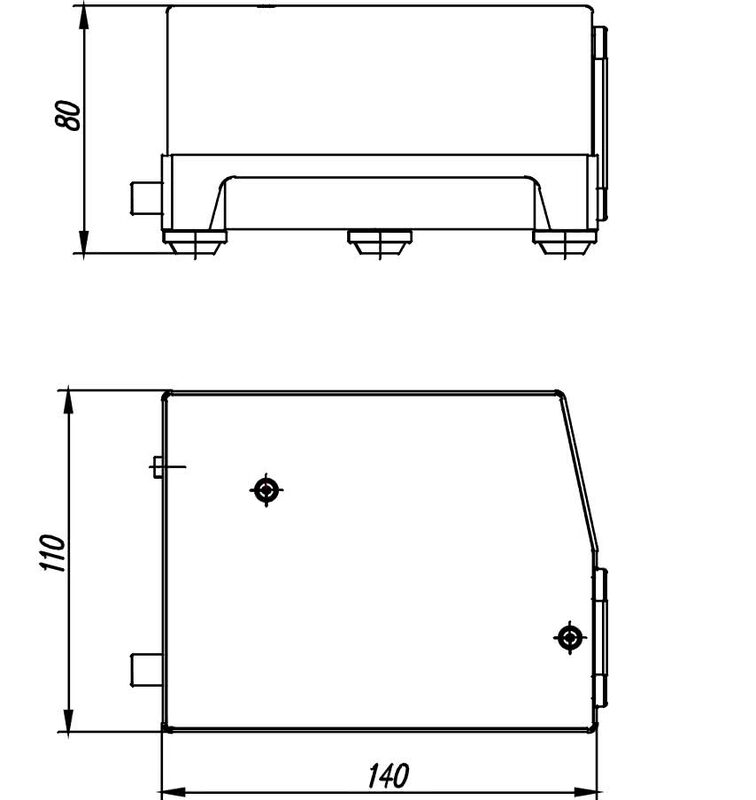 Optical parametric oscillator (OPO). Idler wave. 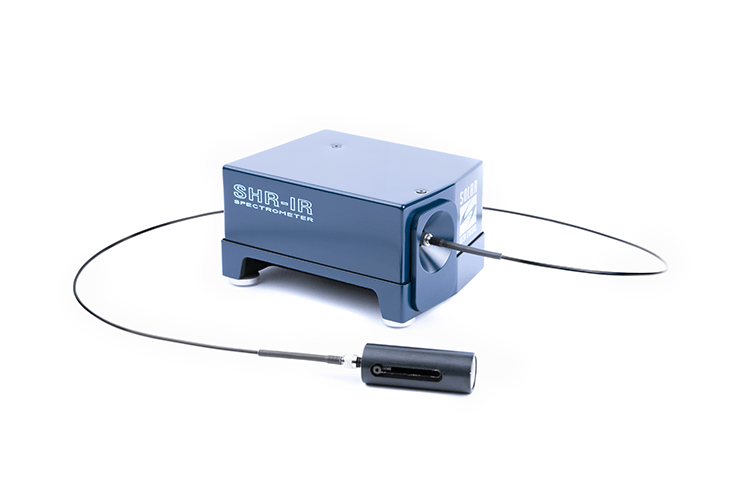 Real-time measurements at tuning laser wavelength. 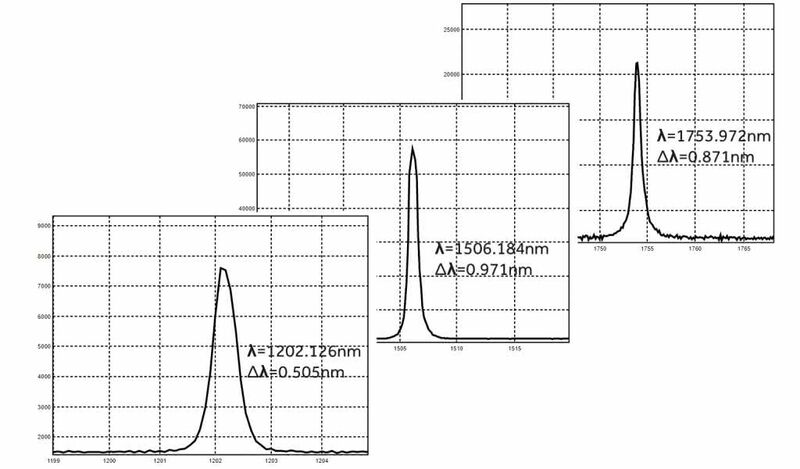 1725-1750nm laser diode spectrum acquired with the SHR-IR.